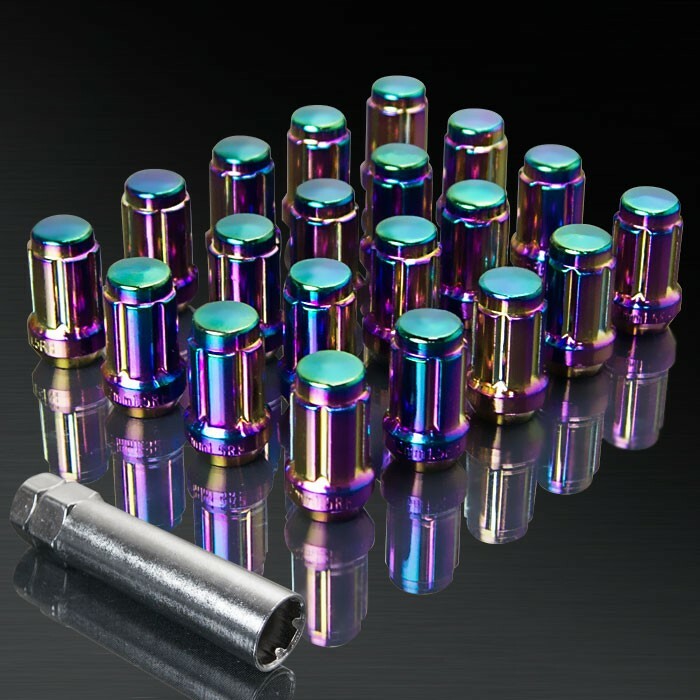 UPGR8 Brand new 12x1.25MM 20 pieces lug nuts with key. Made of high quality steel with powder coat finish.We offer ONE YEAR warranty. Weight: 36g per lug nut. Length: 35MM. Precise fitment for best result of installation. Unique Design help preventing wheel from scratch. Heat-treating offers more strenght and lighter weight,Track and race proven durability and quality.